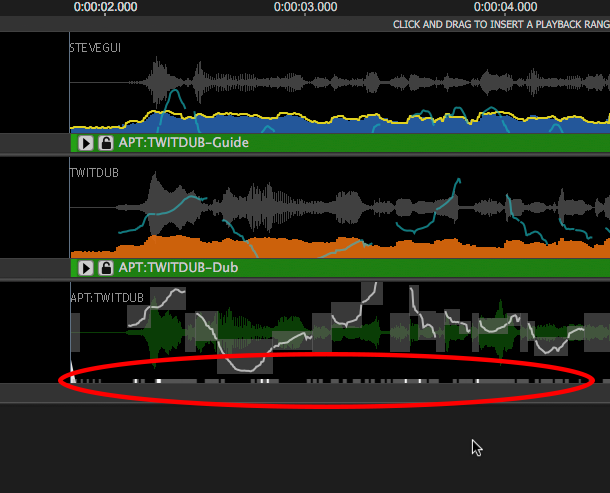 In the APT and Warp processes, Revoice Pro tries to do as little processing as possible. But when it does process a signal, it displays an indication of the relative amount of processing that has been applied along the audio waveform. This will help you focus your attention when you listen for the changes. As shown right in red oval, small block-shaped markers at the bottom of the track waveform display, vary in their brightness depending on the amount of editing that has been done to the waveform above each block. Lighter means more processing. Dark means none. 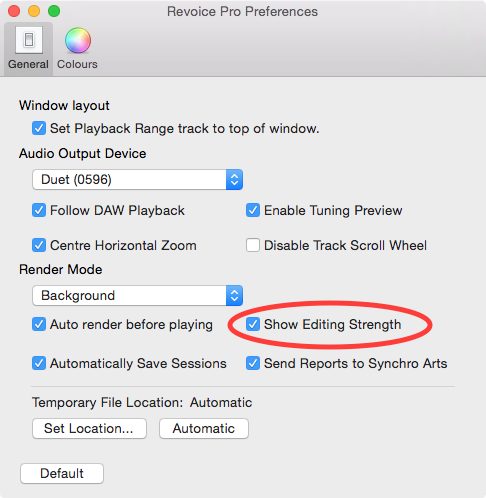 You can turn this display on and off in the Revoice Pro Preferences window using Show Editing Strength as in the picture below.